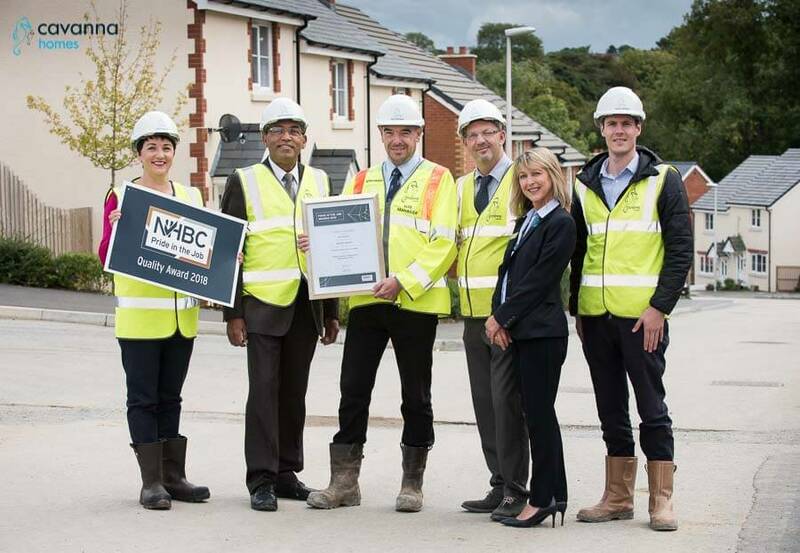 We are celebrating a double honour as not one but two of our Devon Site Managers have been given Pride in the Job Awards by the NHBC – the National House Building Council. Russell Gibson and Paul Whitlock have won a Quality Award for our sites in Holsworthy and Clyst St Mary. 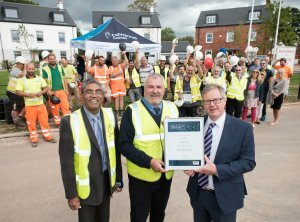 Paul Whitlock, Site Manager at our Holsworthy development, said: “This is a great achievement and I am incredibly proud to be presented with this award for the second year running, which recognises the hard work and commitment that goes into building high quality homes which homeowners can be proud of”. Russell, who started his 42-year career in the industry as a carpenter and has since progressed to Site Manager at our Greenspire site of new homes, added: “We couldn’t maintain our high standard of quality without the site team’s help and support, so this is a real testament to their hard work and efforts”. This year 16,000 site managers across the UK were entered into the competition – just three per cent were given awards. Head of Construction Fred Sureshkumar said: “Site Managers play a vital role in any new development, making sure everything runs smoothly and most importantly ensuring everyone working on site, and visiting, is provided a safe environment. “Here at Cavanna Homes we know we have some of the best Site Managers available within our region, and these latest Pride in the Job Awards underline that. 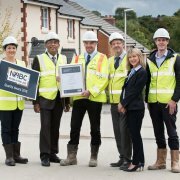 Cavanna Homes Site Manager Russell Gibson receives his Pride in the Job Award from L-R Fred Sureshkumar, Head of Constructionn Cavanna Homes and NHBC Regional Director Nick Cunningham.